Orlando, Florida, October 8, 2018 (PERSPECTIVE MAGAZINE) Paul Mattimoe, President & CEO, Perspective Group and INTUITION Brand Marketing was confirmed as a new board member of Canadian Vacation Ownership Association, during the Annual General Meeting, held at Vo-Con Conference in Blue Mountain, Ontario, Canada on September 25th. Canadian Vacation Ownership Association (CVOA and formerly CRDA) is Canada’s only association devoted to representing the needs of the vacation ownership and resort development industries. Since 1980, the CVOA has brought together timeshare and resort development leaders to continue to maintain the highest ethical standards possible within the industry. The CVOA provides B2B networking opportunities for members and educates consumers about the vacation ownership industry. It is closely aligned with other industry organizations including ARDA, CARE, and AMDETUR. Paul Mattimoe joins the board of 11 industry professionals to provide opinion, knowledge and expertise that will assist CVOA to continue to grow and excel as an organization that promotes best practices within the industry. “I am delighted to be accepted onto the board for CVOA and look forward to being part of the diverse team of industry professionals that already serve as its directors.” Says Paul Mattimoe. Mattimoe also participates as an Advisory Board Member for Cooperative Association of Resort Exchangers (C.A.R.E. ); board member for Send Me On Vacation (SMOV) a cancer survivor charity; a member of the Membership Committee for American Resort Development Association (ARDA) and provides media sponsorship to almost all major industry conferences and events, plus support for several other charities and charitable events. Mattimoe has been involved in the vacation ownership industry for 23 years. 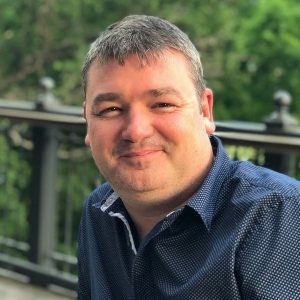 After working his way from sales representative to Project Director spanning small developments to multi-resort groups throughout Europe and Asia, he has spent the last 15 years running his own companies which have had a significant impact on the industry. Perspective Group is renowned for publishing Perspective Magazine, the leading vacation ownership trade publication globally since 2005, and the GNEX Conference, a high-end industry leaders conference launched in 2011 that is responsible for facilitating many new business relationships and some particularly powerful strategic alliances. The event also hosts the annual Perspective Magazine Awards that recognize excellence around the globe in more than 30 categories. INTUITION Brand Marketing, which launched in 2012 provides innovative solutions for sales and marketing, customer engagement and reputation management. Boasting the most comprehensive customizable analytics and reporting platform in the industry, INTUITION offers a wide array of services from on-site communications, pre-and post-stay marketing, tablet-based and email-based surveys, online review collection and much more – all seamlessly combined to provide highly detailed customer data that identifies areas for improvement and areas for opportunity.